What Are Some Interesting Facts About Lambs? Lamb is the term used to refer to the newborn offspring of domesticated sheep. 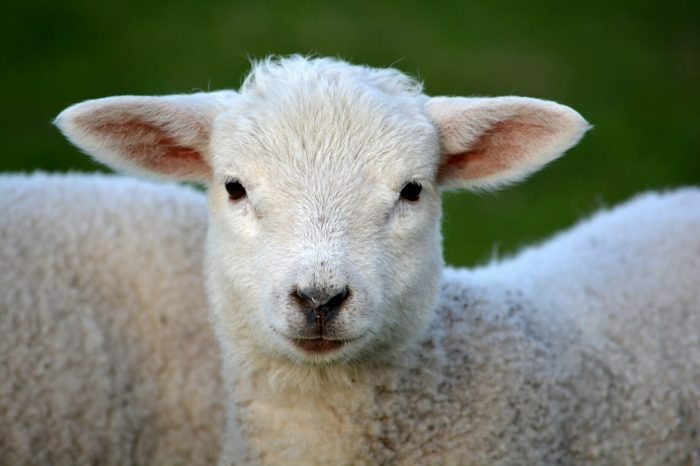 On average, only one or two lambs are born to a ewe each year. Sheep are a medium-sized, hoofed mammal that were domesticated some 10,000 ago by humans for their wool, skin, milk and meat. They belong to a group of animals called ruminants, which means that their stomach have chambers that contain microbes that helps them digest their forages of the day. The breeding season for sheep takes place anywhere between the fall and winter seasons, but some ewe can breed all-year round. After a successful mating period, ewes will give birth to lambs weighing 5 to 8 lbs. after a 145- to 155-day gestation period. This Pirate Cat Wins Halloween!